HODGSON always walks at the forefront of the world of studying high-tech sunglasses frame and lenses materials. 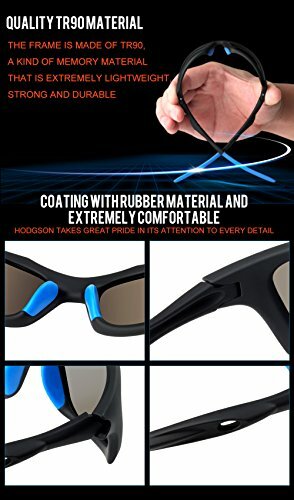 These sunglasses are made of our Newest Unbreakable and highly Stress-Resistant Material of TR90. It perfectly resolves the breaking issues that many sellers are constantly having to deal with. 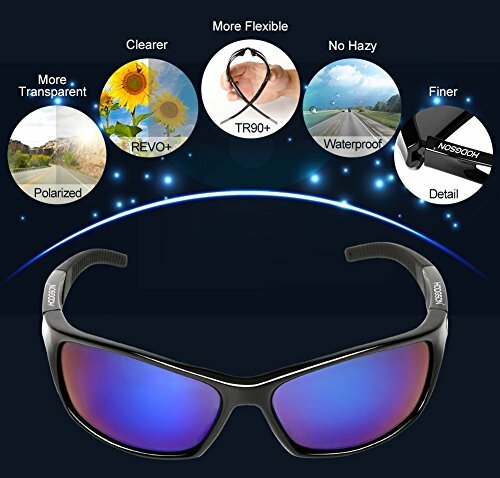 Most importantly, even with our newest technology the sunglass still continue to be both lightweight and durable for all-day comfort and protection. 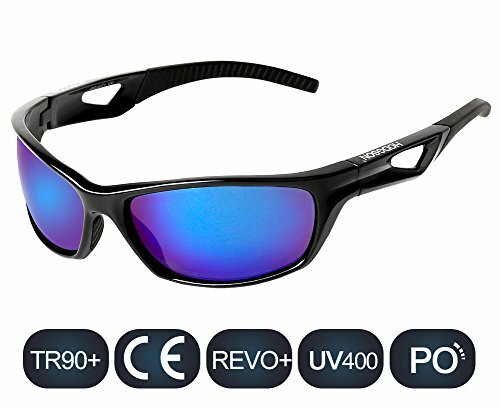 Our Newest Polarized Lenses drastically reduce the brightness of shiny surfaces and helps restore the most no-glare real world to you. 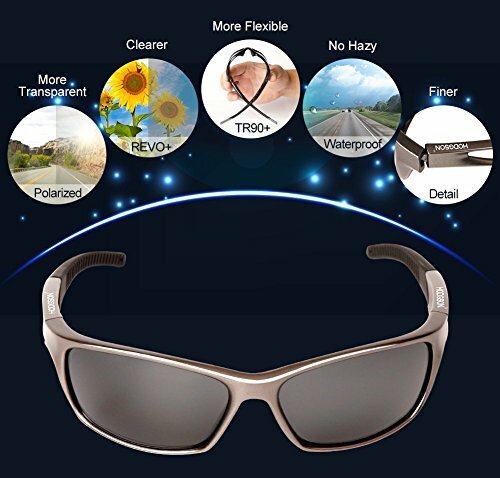 This helps greatly reduce eye fatigue and eyestrain and greatly enhances the safety of driving. Great Clarity of Vision: Premium REVO colorful coating lenses provide a ¡°natural vision¡± from transmitting original colors without any modifications. 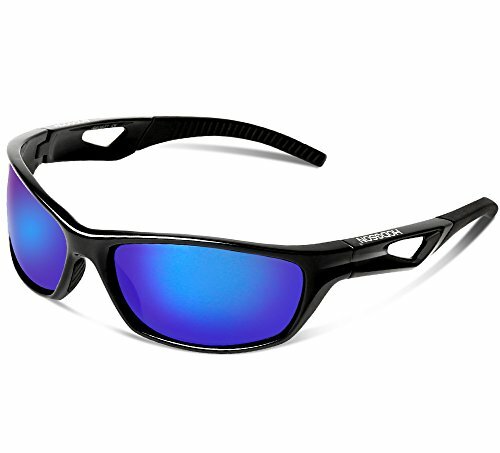 Remarkable Eye Protection and Comfortable: 100% blocks UVA, UVB and harmful blue lights. Thoughtful and Ergonomic Design offers high comfort thanks to our exclusive smart technology. What You Get: 24-month warranty and friendly customer service. One pair of HODGSON sunglasses with hard case, clean cloth and packaging box.